AAAperto, the museum of contemporary art set up in the evocative streets of the historic centre of Aggius has just been inaugurated. From installations by Maria Lai to the latest murals by Tellas, works left by countless artists can now be enjoyed by everyone. It was 2008 when as part of her project Essere e Tessere the artist Maria Lai left a large number of works, important pieces and an artistic legacy to the village of Aggius. 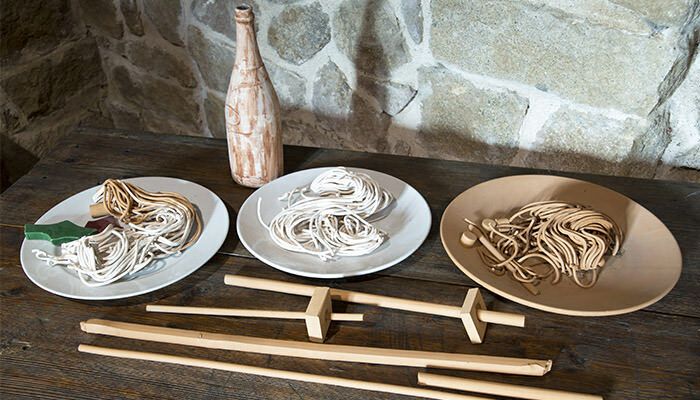 Ten years later her work has found its rightful place as part of AAAperto, the third museum in a small Gallura village in northern Sardinia. 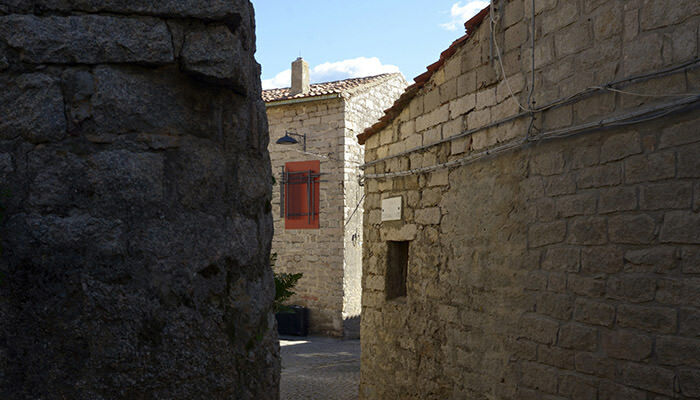 Aggius has become a town of museums, to be discovered following the green, red and violet signs that intertwine through the fabric of the village’s narrow streets and alleyways. 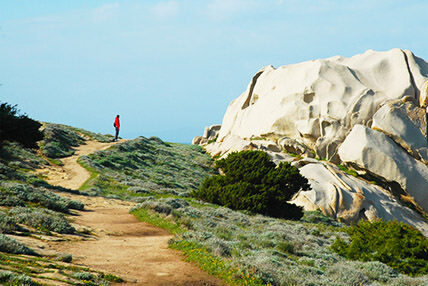 An exciting path that leads to works and installations in public places, to MEOC, one of the largest ethnographic museums in Sardinia, and to the Banditry Museum, unique in Italy. AAAperto was started with the creation of weaving looms placed on aluminium panels by Maria Lai, which represent the textures and the warp of the loom, and has since been enriched with works by artists either born in Sardinia or who have lived here for long periods. Inspired by Aggius, the people, the scents and the landscape, they continue to embellish an already fascinating old town made from granite, cobbled streets and flower-filled balconies. 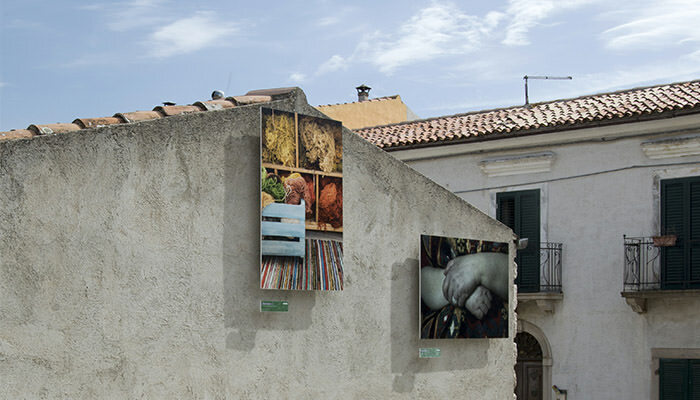 Ten years after the Maria Lai happening, the photographer Mario Saragato curated the permanent photographic exhibition entitled Dove c’è un filo c’è una traccia, set up on the walls of houses in the village. These images tell stories about the textile tradition and are a tribute to the rugs and the weavers that still preserve this culture and ancient knowledge today. Also in 2018 the Aggius museum of contemporary art was enriched with works by Tellas. 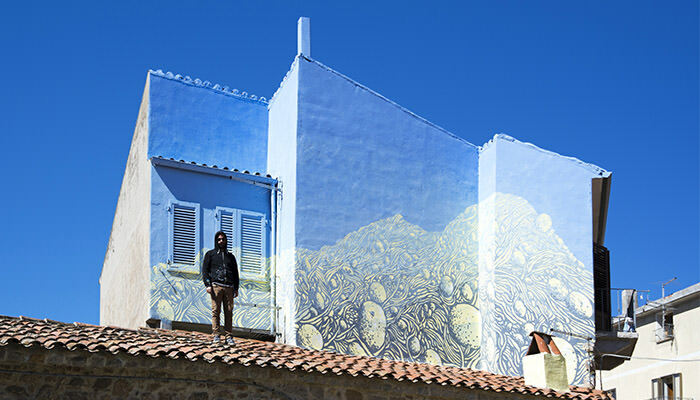 Armed with spray-paints and brushes, the internationally acclaimed graffiti artist considered by the Huffington Post as among the 25 most famous street artists in the world has given new life to the plaster facades of three houses. 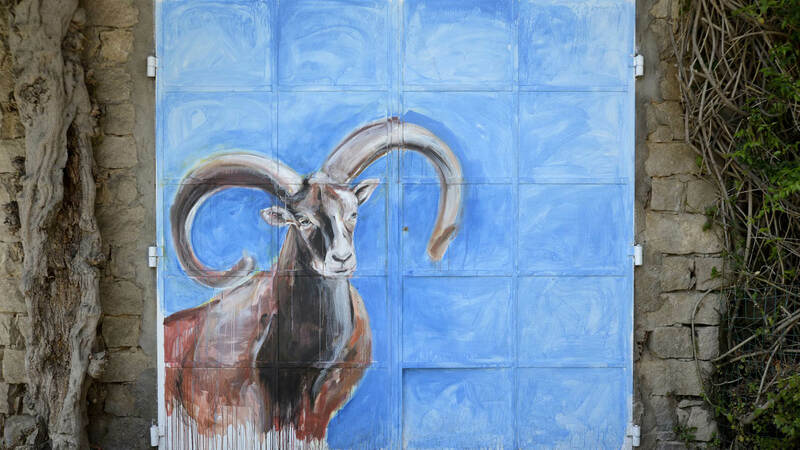 The rich collection of North Sardinia’s museum of contemporary art also now includes the doors of shops and garages painted by the Aggius artist Simone Sanna who wanted to reproduce the designs and colours of the traditional rugs and carpets. In addition there are 6 large works by Narcisa Monni, a large installation by Giovanni Campus and one of his pictorial works, two small works by Rossana Rossi, ten works by Josephine Sassu, one by Paschetta, the Ripa di Meana collection as well as works by Gabriel, Polinas, Zaza Calzia, Vittoria Soddu, Simona Tavassi and many others. 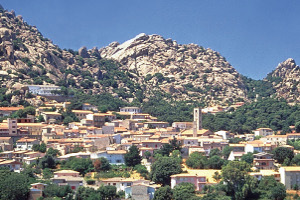 Aggius, one of Italy’s Authentic Villages and awarded the Orange Flag by the Touring Club, is a place to see during your holidays in Northern Sardinia. 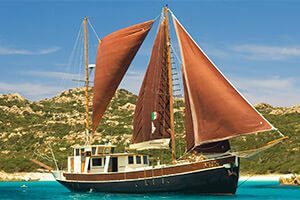 A few kilometres from all our hotels and resorts, treat yourself to a visit to Aggius and its surroundings with the Ethnotour della Gallura, the Delphina excursion that goes beyond the sea, into the authentic heart of Sardinia.